The bike’s been mine for 23 years and has been driven regularly. Most of the current 62.821 kilometers I actually rode myself. much as before this one is now the first to be sold. German papers, TÜV 10/2020 is new. Register and start driving! The Laverda is at Laverda-Paradies Konstanz for test drives. 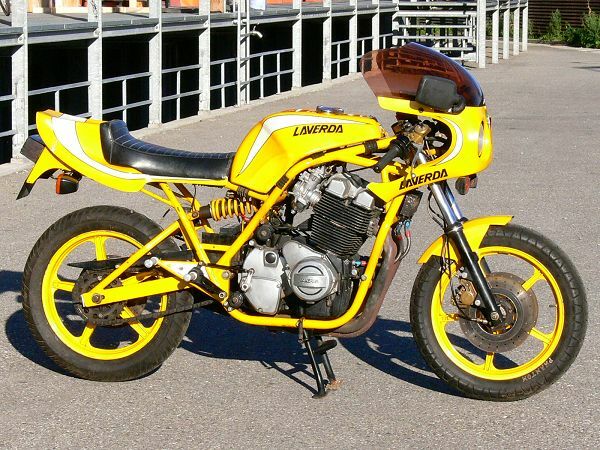 I am selling the Laverda Motodd MK2 with yellow frame and British registration documents. The picture of my Motodd MK3 with the orange frame shows what a great motorbike can be built out of the Motodd MK2 with yellow frame. Motodd Laverdas are very rare. They were built in England. 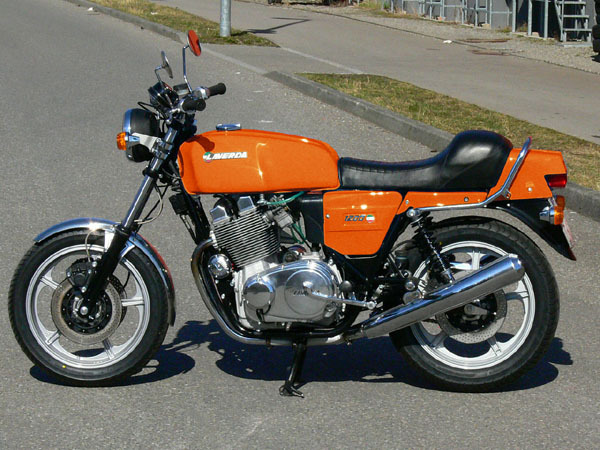 For Laverda Motodd MK2 and MK3 a total of about 40 frames were built. 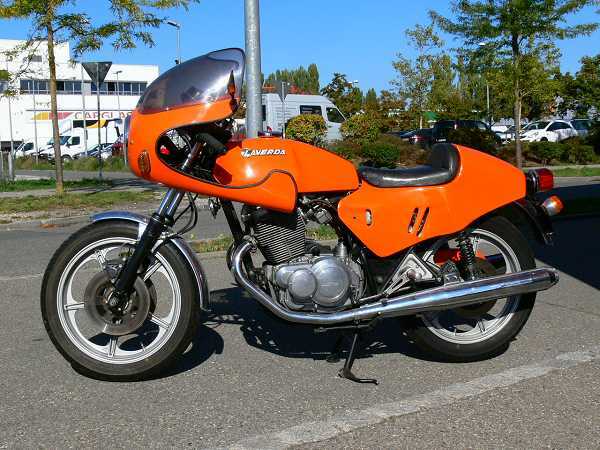 Of the legendary Laverda 750-SFC a total of 549 copies were built! The MK2 is all in all complete, the engine has a good compression of 10 bar. The engine should still be dismantled and checked thoroughly. The whole chassis including brakes must be dismantled renovated completely to get a result as nice as my MK3. The motorbike has been completle overhauled except the frame and electricity. The engine is overhauled including new crankshaft with 2 years of warranty. Price: € 15.900,00. You can get a 30 pages list of newly mounted parts and all works done to the bike plus 25 more pictures.